I love Hodor and I got an idea. 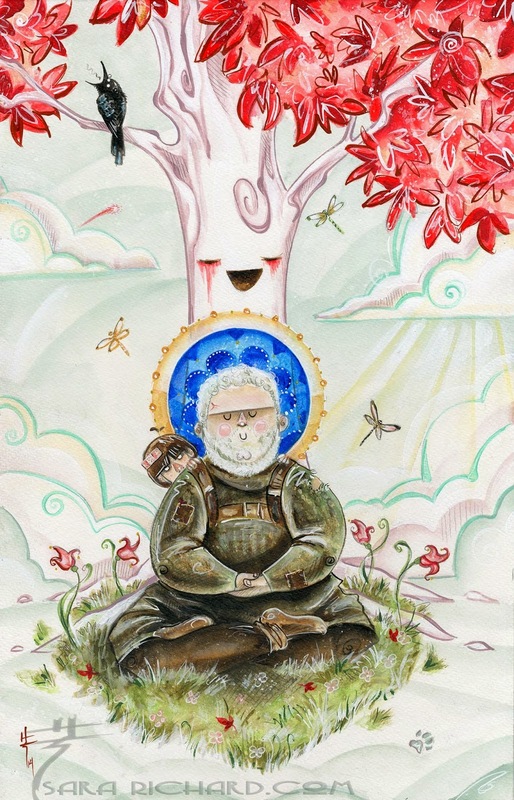 I think I heard Kristian Nairn say he treated Hodor as a character that really was much deeper than what's projected, so I thought he might be a little bit Buddha-like. I wanted to try a cute storybook approach as well. So yup!